Finkl Steel - Sorel is proud to get involved in our community. With an elaborated donation program and various implication in volunteer organisms, we have a firm belief that our growth is directly linked to the development of neighbouring communities, maintaining close ties with local residents and representatives. Every year, Finkl Steel - Sorel gives thousands to many important causes. From United Way to the Red Cross, we are helping people who helps people. Since 1996, a project called "Projet-Don" is in place, now entering it's second phase. For many years, Finkl Steel - Sorel has supported community and health organizations that aim to improve healthcare and aid the disadvantaged. We decided to continue the project. 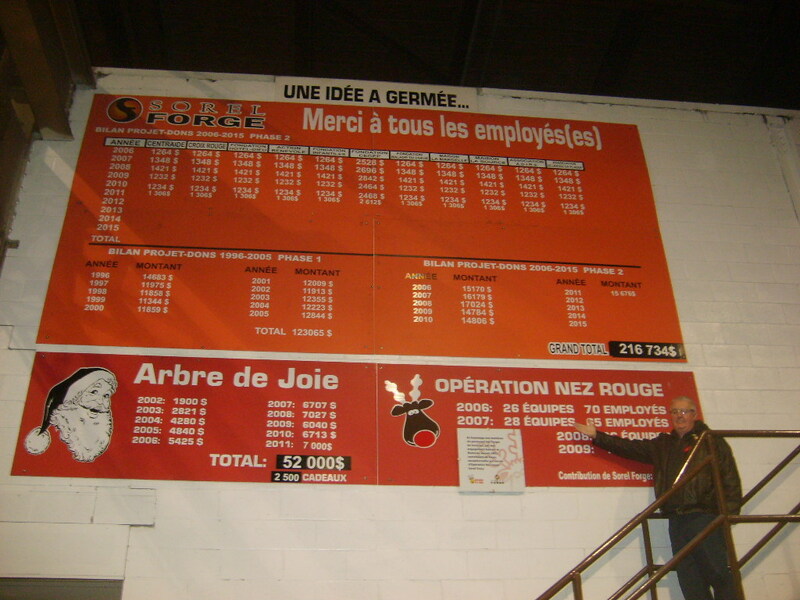 Operation Red Nose is a worldwide unique program against impaired driving, and Finkl Steel - Sorel is part of it ! Again, each year, dozens of our employees volunteers for the program in addition to the financial participation of the company. For more than a decade, 72 920$ worth of holiday gifts were given to the needing children of our community.